Hayes has above average size and a highly intriguing frame for his position, featuring a plus-6'8 wingspan and being measured taller than 6'5 with shoes. A quick and explosive guard, he has an imposing first step and can change speed with ridiculous ease off the dribble; he's also an effortless leaper who can naturally play above the rim on both ends of the floor, also when playing halfcourt basketball. A lefty guard, Hayes is a flashy ball-handler who is always in control of his dribble, he can easily create separation and change pace with the ball. 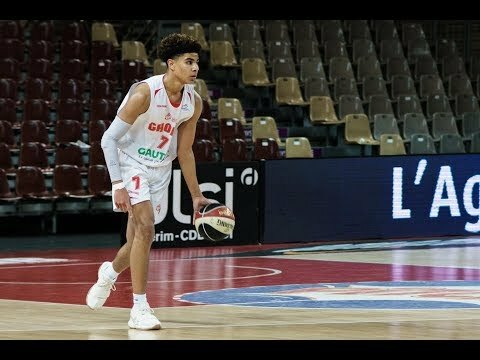 An aggresive and disruptive slasher, he has explosive first step and amazing body control, being able to blow by his defender with ridiculous ease and get inside to finish at the rim. He's comfortable finishing through physical contact and can comfortably play above the rim. Not a natural shooter, Hayes is improving his shooting mechanics and has already set a higher release point than he used to have. His mid-range pull-up jumper is solid and he has decent efficiency from beyond the arc as well, even though he's more comfortable off the dribble than off the catch. Still strong hand dominant, Hayes is not always comfortable attacking to his right and tends to be predictable going left, even though most of the times he's still able to find a way to score with impressive ease. 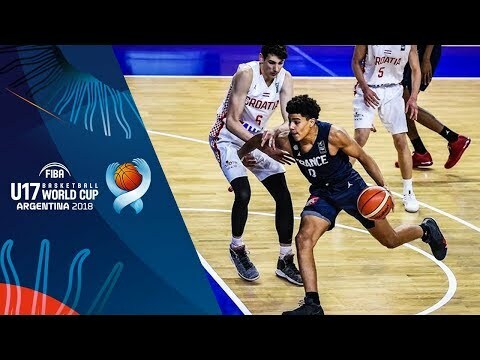 Hayes shows very good vision and passing instincts, he can always see the weak side when playing halfcourt basketball and finds his teammates with proper timing, even though sometimes tends to stop the ball too much looking for a score. 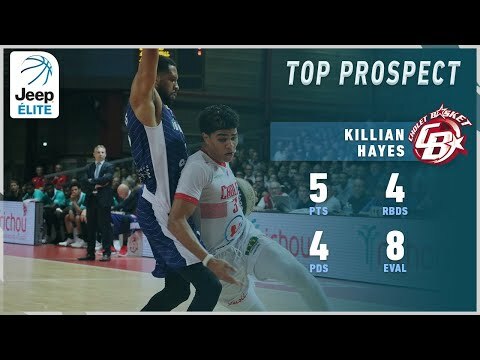 Hayes is a terrific defender when focused, using his above average length and explosiveness to harass his opponent and perform athletic plays which are not common for a player his age. He's not always committed though, and sometimes just plays waiting the defensive possession to end. 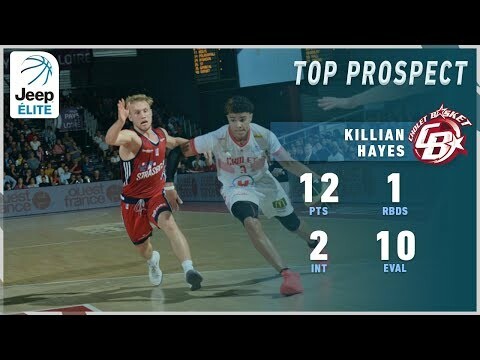 In general, Hayes attitude is not always perfect at the youth level of competition: it's just too easy for him to perform on both ends of the court, even in the Espoirs league, and at times he looks bored and superficial. 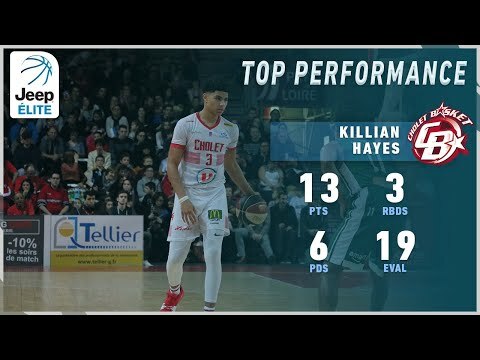 For the 2018/19 season, the Pro A will surely be a better context to evaluate him. He is physically impressive for his age. Despite being a 17 years old player facing 21 years old opponents, he is able to absorb the contact from an opposing big man. He is able to finish with contact. Gret IQ when a big sets a screen. He don’t hesitate to reset, navigate at the elbow to get off his defender using the big man. He has great handle allowing him to do that. Loves to bring the ball on the left side of the floor, his favorite side. With a left screen, he either passes the ball to big man or either attacks the paint. He also denies the left screen to attract the double team and then pass the ball to the big man. He recognizes easily when and where he has to give up the ball, but he commits turnovers sometimes. He is a great passer, very altruist. His passing game is great for a young player like him. He sees the floor very well, and can throw cross-court pass if the opposite defense tend to be sloppy to get back. But, supposing he knows how good a passer he is, he has tendency to do very complicated things instead of doing something more simple. When the screen is on the right side, he will pass or take an outside shot. He doesn’t attack a lot off his right hand. With his great handles, he could be able to attack and finish with his right hand. His first step is very quick, especially when he goes to the left, his favorite side. With his first step and his ball-handling skills, he can create very easily for him or his teamates. He can improve by cutting his careless turnovers (at least 2 or 3 a game). His shooting mechanics changed a little : he releases the ball higher and the lift of the ball looks better. Never gives up on a play, If he commits a turnover he always wants to compensate for his mistake: performing a chasedown blocks, collecting a steal, drawing an offensive fouls drawn… he finds a way. His attitude changes from Espoirs to Pro A : doesn’t fight screens with the U21 team, while he’s very tenacious with the pros despite being screened multiple times. Comfortable guarding both backcourt positions in the Pro A. His length is effective to block shots and force turnovers.